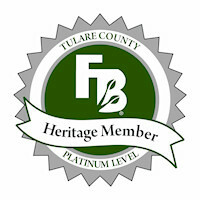 The businesses listed on this page show their support of the agriculture industry and Tulare County Farm Bureau by being Farm Bureau Business Members. Please show your appreciation by supporting them in return. Let these businesses know that you are a Farm Bureau member, and look for special Farm Bureau "Member Only Discounts". Custom farming, large or small jobs, mostly nut crops, orchard management, mulch incorporation/harvest preparation, pruning, shredding, mowing, discing, walnut harvesting, hulling and dehydrating. We can help tame your grove, whether it's nuts or not. TOPPING, HEDGING & SKIRTING - Citrus: Mandarins, Navels, etc. ; Stone Fruit: Cherries, Apricots, Peaches, Nectarines, Plums, Prunes, etc. ; Nuts: Almonds, Pistachios, Walnuts. 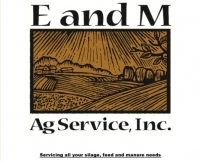 E & M Ag Services, Inc.
Esys is able to provide all the elements required to implement VFD systems for agricultural applications. •	Engineering department to design the systems, •	Panel and fabrication shops to build the systems, a •	Construction Department to install the systems, and a •	Service Department made up of factory trained technicians to start up and maintain the systems. This complete turnkey solution is further supported by an extensive local inventory of VFDs and VFD repair parts. Esys is the Authorized Central California Danfoss VFD distributor. As a distributor, Esys can provide the most competitive pricing for its customers. Esys is also the authorized factory warranty repair center for Southern California. Warranty repairs can be performed by Esys technicians on the customer’s site. In the event a VFD needs service beyond what field service crews can perform on-site, the drive can be repaired at the Esys Woodmere Repair Facility in Bakersfield California. At this facility, repaired VFDs are load-tested prior to shipment to verify the repair was completed correctly and the VFD is performing to factory specifications. For over 100 years Fruit Growers Supply has provided generations of local growers and packers with the services, materials and support they need to grow, harvest, package, and ship their products putting efficiency back into their hands. We fabricate corrugated cartons, construct pallets, create wax and packline equipment, design and install irrigation systems, and sell agricultural supplies and equipment to the public. Let Fruit Growers Supply help you grow to market by consolidating all of your needs into one proven company. Grower Direct Nut Company is a walnut processor supplying food processors, re-baggers, retailers and produce markets worldwide. Thanks to our family-run structure we have first-hand knowledge of our products from field to market. Our success is utilizing the whole walnut which enables us to consistently provide competitive prices to our growers, paired with reliable service earning grower trust. We proudly stand behind our service and our products assuring consistency, reliability and outstanding quality. Hester Orchards is a family owned and operated business with three generations of farming background in Tulare County. We currently are farming walnuts on our own behalf and as a management team for other growers. We have been able to address the needs of other owners by being flexible in our financial contracts. We provide walnut related services such as Orchard Floor Reconditioning, Tower Pruning, Harvesting, Hulling and Dehydrating. These services are provided for anyone, not only someone with a management agreement. We look forward to working with groups or individuals of any size. Thank you, Gary E. Hester. High Sierra Ag Inc. is an Ag development company specializing in land leveling, discing, GPS marking, tree berming, and all other aspects of permanent crop redevelopment. We service Kings, Tulare, Fresno and Kern Counties. JSC Agricultural Supply, a division of Jim’s Supply Co. Inc., specializes in manufacturing steel trellis components and providing supplies & solutions to the agriculture industry. We take pride in our individualized service to both large and small growers alike. We manufacture grape stakes and crossarms at our Central California production plant and distribute a full line of agricultural supplies including end posts, fencing, wire, anchors, bird control, vine protection, and more! We also provide everyday farming necessities including harvest, pruning, safety, and sanitation supplies. James W. Boylan (Jim) and wife Doreen, started the business out of their home in 1959, all while raising a family of five children. The couple founded Jim’s Supply on the principles of hard work and dedication and their children continue to lead the company with these same values at the forefront of the operation today. JSC delivers to Tulare County on a daily basis.